Eurovision 2019 "Red Carpet" will be... Orange! Eurovision 2019 will open in Tel Aviv with an "Orange Carpet" event, instead of the traditional red carpet. Last year, Lisbon also decided to replace the red carpet with a blue one, to strengthen it's ocean theme. This time, the Orange color was chosen with connection to Eurovision 2019 Official Sponsor "MyHeritage" orange logo. 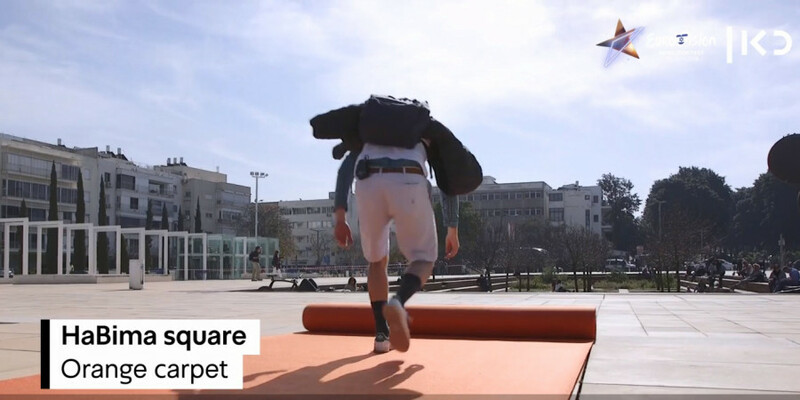 The Orange Carpet event will take on Sunday 12 May, at the famous "Habima Square" (also refered as "The Culture Square") in Tel Aviv, with the opening ceremony scheduled to take place in Habima Theatre, Israel's national theatre. The 64th Eurovision Song Contest takes place on 14, 16 and 18 May 2019. The contest is hosted by Tel Aviv, Israel, and produced by the Israeli broadcaster KAN.